The three were involved with the hugely popular YouTube channel "High on Life SundayFundayz," which showcased their travels around the world. 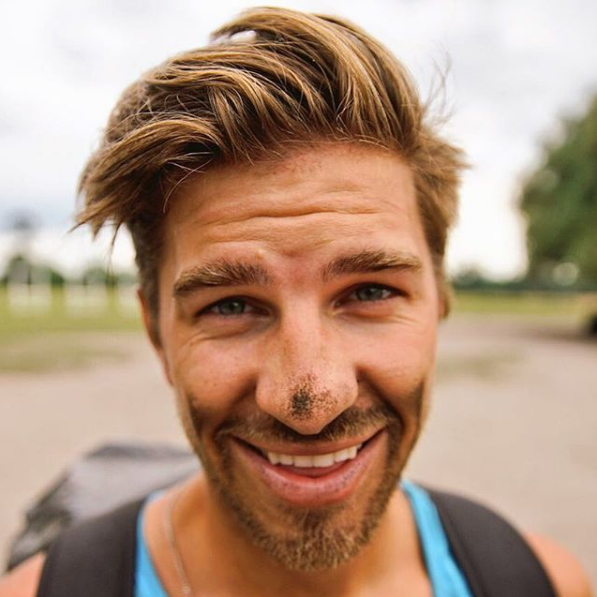 Popular travel YouTubers Ryker Gamble and Alexey Lyakh, and Lyakh's girlfriend, Megan Scraper, reportedly died Tuesday after falling over a waterfall while hiking. The accident occurred at Shannon Falls, the third-highest waterfall in British Columbia, Canada. Police told BuzzFeed News that the three victims were swimming in one of the pools at the top of the waterfall when they slipped and fell nearly 100 feet into a pool below them. According to the Vancouver Sun, Gamble and Lyakh attempted to save Scraper after she slipped and fell. All three were swept away in the currents. Family members of Gamble confirmed his death to the Vancouver Sun. Friends identified Lyakh and Scraper as the other two killed in social media posts. The three victims were members of a popular collective of Vancouver-based travel vloggers called "High on Life SundayFundayz." "High on Life" crew in Bali, Indonesia, in April. The group traveled to many places, including Bali, Croatia, Nicaragua, Thailand, Greece, and Peru, and shared its experiences with millions of followers on YouTube and Instagram. The group has more than 2.5 million followers between its YouTube, Instagram, and individual Instagram accounts. According to the group's Facebook page, Gamble and Lyakh, along with third founding member Parker Heuser, had been "friends since high school and have been making videos ever since." Gamble, Heuser, and Lyakh at the Grand Canyon in 2016. "Though we went to different universities we maintained our friendships throughout and moved in together after graduating," the Facebook page says. The three started making videos again and launched their YouTube channel soon after moving in together. In 2012, the three "gave up our lease and set out on a big adventure around the world." "It lasted 7 months and took us to 14 countries and completely drained our bank accounts," the page says. "We were hooked." In 2016, Gamble and Lyakh spent seven days in jail after violating rules at Yellowstone National Park in Wyoming. The two pled guilty to walking off a walkway and onto the Grand Prismatic Spring, the largest hot spring in the United States. Visitors are not permitted to walk on the spring due to its fragile ecosystem. Justis Cooper Price Brown, another High on Life member, was reportedly fined but not given jail time. In a Facebook post after the incident, the group members apologized, saying they "got over zealous in our enthusiasm for this wonderful place." "When standing at the face of such natural wonder, we were drawn to it," they said. "In an attempt to get the perfect shot, we acted in a way that doesn’t reflect our respect for the environment we were trying to capture." Fans of the group are remembering the victims and sharing how their spirit of adventure inspired them. "You helped me rediscover my passion for traveling. I had one of the greatest adventures of my life in Nicaragua because of you guys," one person commented on Gamble's last Instagram, which was posted in Vancouver on Sunday. "You guys inspired me to travel to Thailand. It’s now my favorite place in earth," one person commented on Lyakh's last Instagram. "Tragic ending to an adventurous life," another commented. Bali is an island province of Indonesia. An earlier version of this post said it was a country.